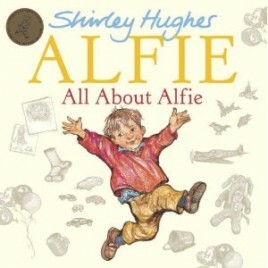 Alfie may be small, but his life is packed with adventures and this book celebrates 30 years of Shirley Hughes’ much-loved character with two new stories, fun and poems. In one of the stories, there’s a very special birthday in store – Great Grandma Hilary is turning 90, so look out for card-making, cake-baking and presents. Great Grandma also has her own surprise up her sleeve – Alfie and his friend Bernard find out that she knows all about the old aeroplanes that Bernard loves to read about, because she used to work in a factory that made them! Ever wondered what a chicken looks like when it’s struck by lightning? Or a cactus-eating elephant? Or whether elephant poo looks like cow poo? 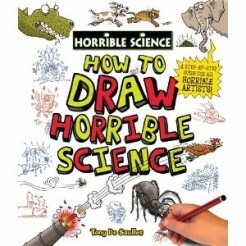 Tony De Saulles, illustrator of the Horrible Science books, shares his illustration tips with you in this funny and rather well illustrated book about illustration. There are a range of things to try out, from the pages on Deadly Dinosaurs and Bugs and Slugs to Body Bits and Making Faces.